Situated in the Pyrenean foothills, Lourdes has long been an important city. Even before the famed apparitions of Virgin Mary in the mid-1800s, the town was known for its fortified castle on the outskirts of town. After Mary appeared to peasant girl Bernadette Soubirous, Lourdes became one of the world’s most frequently visited pilgrimage sites, boasting a current figure of 6 million visitors per year. Let’s take a look at the things every traveler should see and do when in this town. 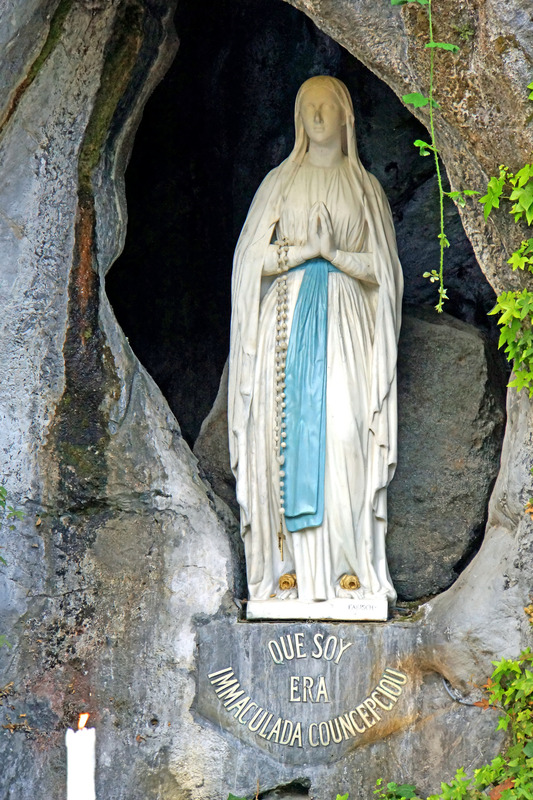 A visit to Lourdes would be incomplete without a visit to the place where Lourdes’ religious tourism all started— in the grotto where Bernadette Soubirous first experienced her spiritual visions in 1858. Next-door to the Basilica, this grotto is a pilgrim hot-spot, with visitors in line for half the day to wait to dip themselves in the freezing pool or to light a candle just outside. The fortress of Lourdes is the town’s only major secular attraction, perched atop a rocky outcrop on the edge of the city. The ascent is a steep, but short and rewarding walk, but those for whom the slope may be too difficult can take the lift for free. 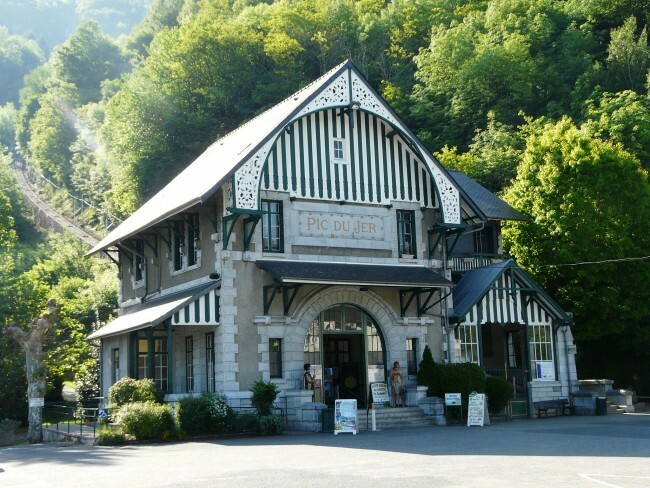 The Château also houses the Musée Pyrénéen, a museum showcasing both regional artifacts and art. Take a trip here for the most exquisite view over Lourdes, the neighboring town of Tarbes, the Argelès Gazost valley and the peaks of the Pyrenees alike. Unlike the Château, the journey up is not a short one (it takes roughly three hours), so the recommended route is via the 100-year-old funicular railway, a very scenic trip in itself! The way down is easier, with a family-friendly journey via an abandoned railway track, which comes out at the point where visitors will have taken the funicular from earlier in the day. The Pic du Jer is also a sight to watch out for at night, as the giant cross at its summit is lit up. Much of the history of Lourdes revolves around the story of Bernadette Soubirous and her family, and Le Cachot is no exception. 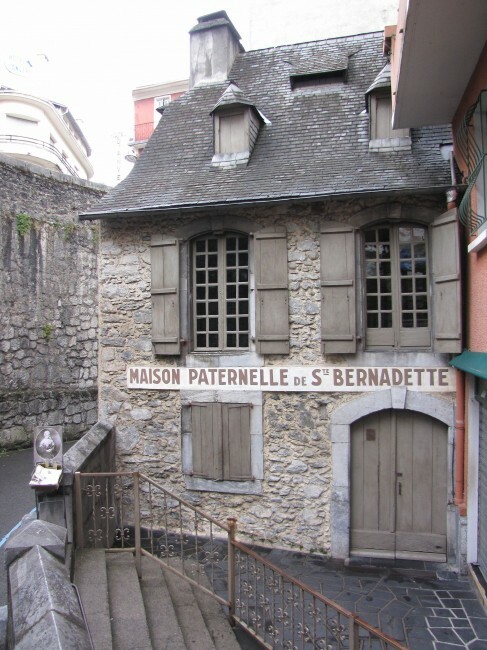 This dingy prison, in which the Soubirous family was forced to spend a year, is where visitors can see the small, 16m² room that the family inhabited during the time in which Bernadette saw her many visions. The Moulin de Boly, or the birthplace of Bernadette Soubirous, located in the heart of Lourdes was originally a water mill where the girl come visionary spent her first 10 years. It was newly renovated in 2012 and is a museum featuring a bedroom, kitchen and water mill. Informative tours are available, providing more detail on the simple lives led by peasant families at the time and for pilgrims, a more tangible background of Bernadette’s life. For a day’s break from sites of religious interest, this farm provides a curious but fun alternative. Set in a gorgeous location of greenery, here visitors can look at and pet locally-reared animals ranging in size from ponies to guinea pigs. Best enjoyed in fine weather, there are plenty of picnic areas, as well as a café and indoor eating area to spend a leisurely lunch. 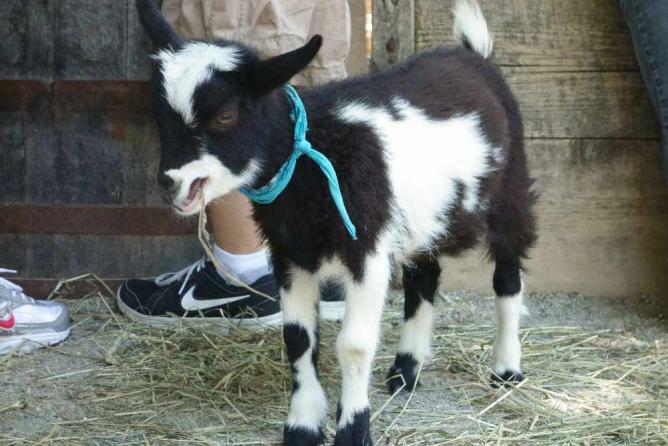 A must-do with children or the young-at-heart, this farm is guaranteed to put a little spring in your step. This water source is where pilgrims go to collect Lourdes’ fabled liquid; a custom that springs from the story of the Virgin Mary’s apparition to Bernadette, during which the girl was instructed to go to the source and to drink from and wash in it. Interestingly, this water is actually not classed as holy water, as it has not been blessed by a priest. Nevertheless, there have been stories of pilgrims being healed from various diseases after drinking it. Unlike normal stairs, these stairs are usually climbed whilst kneeling. A replica of the stairs in Rome, they are very much a part of the pilgrimage experience in Lourdes. The 28 stairs represent the steps between Pilate and Jesus in the courts, before Jesus was sentenced to death by crucifixion. Pilgrims climbing the steps do so in union with Jesus’ suffering and endeavor to draw closer to god in faith. Whether participating or not, it is certainly an interesting experience to witness the devotion displayed here. At 9 p.m. every night since 1872, a candlelit procession begins at the Prairie and ends in front of the Rosary Basilica. Pilgrims carry candles and torches, as well as a statue of the Virgin Mary and walk for around for 1.5 hours before receiving a blessing from a priest. Pilgrims start to gather at 8:45 p.m. and it is possible for visitors to be part of the choir or rosary too. The Way of the Cross is a famous and important part of a pilgrimage to Lourdes; a route winding along the wooded hillside for 1.5 kilometers. There are 15 different stations representing the journey Jesus took with his cross and 115 iron figures feature along the route. For the less-able, there is a separate and more easily accessible Way of the Cross, which means that everyone who wishes to take part in this tradition can do so.